Dr Bolton-King left Nottingham Girls’ High School in 2004 to study Forensic Science at Nottingham Trent University. Rachel has spent her career serving as a role model for women in STEM, and championing other young scientists to develop their skills. 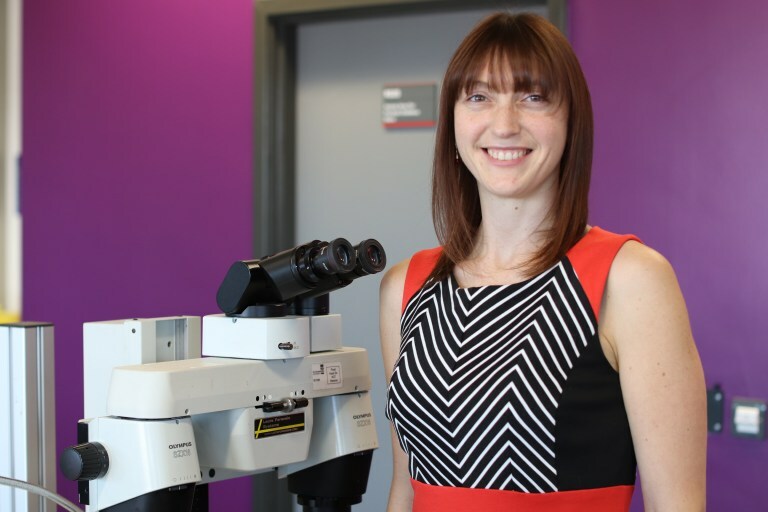 Rachel was awarded the prestigious Churchill Fellowship for 2019 to research gun crime investigation processes. She uses her incredible skills and specialist research to fight for justice for UK gun crime victims by insuring that technologies and best practices are working to the highest standard possible. It’s wonderful to see an NGHS girl go on to make a real impact in our society today with regards to the pressing issue of tackling gun crime. Our hope is that every NGHS girl follows her dreams and is able to make a positive impact on the world around her like Rachel is doing. I have always been driven and motivated, with a clear passion to pursue forensic science as a career. All I ever wanted to do was enter the world of Forensic Science. Even as a young child I was fascinated by the different methods that were used to solve crime. By the age of 11, I knew that a future in this field was for me. I started looking into different aspects of policing and evidence analysis, ensuring that sciences were key options at A-Level. I worked very hard at school as I knew what I had to do to get in, and luckily this paid off – I was accepted by my first choice to study BSc (Hons) Forensic Science with a sandwich year at Nottingham Trent University. It was towards the end of my placement year working as an analytical chemist that I decided that I no longer wanted to be a practitioner working full-time in the laboratory. When I developed the training package for the next placement student, I realised how much I enjoyed developing other’s skills, teaching and inspiring. I specialised in Firearms and Ballistics: a study of firing mechanisms, the physics relating to trajectory of fire and the chemistry associated with propellants in ammunition. I was totally enthralled – I had discovered my true passion! Thoroughly loving the subject, I then began a PhD in Firearms Identification and Imagine, investigating firearm barrels, which generate unique markings on a bullet. I became an academic to change the future of forensic science and help others to pursue their dreams. It is an absolute privilege to watch my students grow, both personally and professionally, and work alongside them, enabling them to achieve their own success. I love teaching the next generation of scientists and getting them involved with my research, which continually tries to improve what forensic science, policing and criminal investigation can do for society – to ensure justice is delivered, trying to prevent crime and future miscarriages of justice. I absolutely love my job – the role of an academic is so varied. I never stop learning something new, and I could never get bored! I love working with my students, watching them grow, develop their skills and succeed in gaining employment. I equally love working with police officers, forensic scientists, lawyers and academic colleagues aiming to change the future of criminal investigations and advance the practice of forensic science. I am so excited that I will be a Churchill Fellow in 2019. My project involves meeting and shadowing law enforcement agencies, lawyers, government officials and scientists from all over the world to look at how technology is used in gun crime investigations. If you look at national statistics, UK gun crime is still relatively low, but when we look at gun crime in major cities like London, Liverpool and Birmingham, the percentages are starting to rise significantly. I will learn how existing and emerging technologies are used to detect, investigate, track, trace, solve, prevent, and reduce gun crime – and how this could inform best practice in the UK.